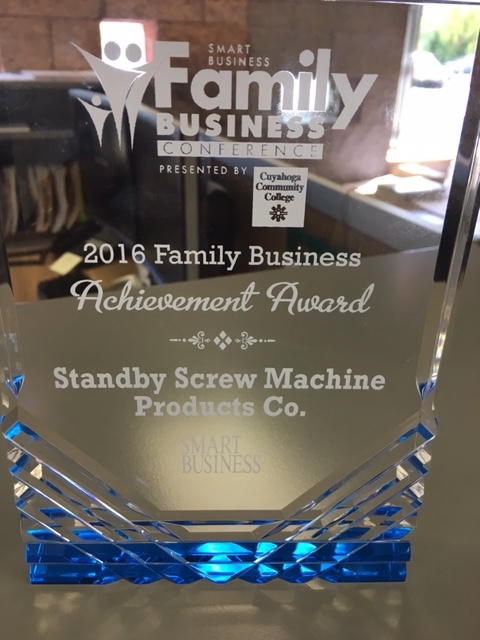 As a third-generation family-owned business, Standby Screw Machine Products Co. is proud to have been selected by Cuyahoga Community College (Tri-C) and Smart Business as a 2016 Family Business Achievement Award honoree. Last week, we participated in the Family Business Conference hosted by Tri-C and Smart Business to share the knowledge and insights we have gained as a successful family-owned business throughout the past 75+ years. Members of Standby’s third generation have been working at the company since they were kids. The business has experienced continued success throughout the years due to changes implemented by each generation, such as the addition of robotics and an overseas plant, to improve accuracies and efficiencies. In addition to being a family-owned business, Standby also has many employees who have been with the company throughout their entire career and now have children and grandchildren working within the organization. 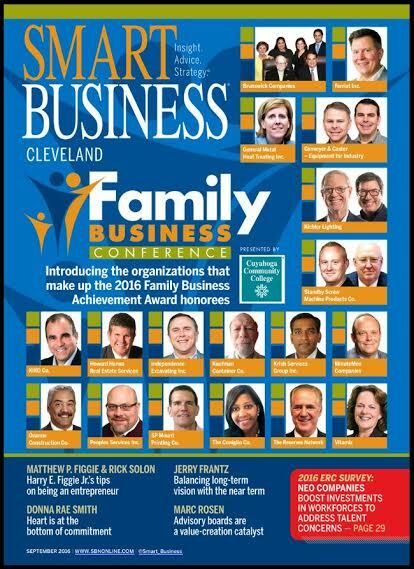 Thank you to Tri-C and Smart business for this honor. Standby is proud to be making a strong impact in the local community and beyond as a family-owned business. © 2019 Standby Screw Machine Products Co.